WASD Shift: Dr. Ray Muzyka, Co-Founder of Bioware addresses ME3 players. Dr. Ray Muzyka, Co-Founder of Bioware addresses ME3 players. Dr. Ray Muzyka has today addressed the fanbase of the Mass Effect series regarding the ongoing controversy surrounding Mass Effect 3's ending. His statement has no confirmation whether or not the ending will be expanded upon or changed, but he does mention that more information will follow throughout April. Make what you will of the article found here. I for one am somewhat indifferent as to whether more content or a better ending is released, if it is - great! If it isn't - I can live with that too. 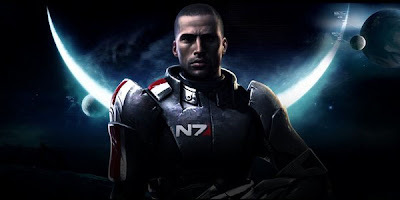 As I think I've said in a previous article, I just want more information on what happens to the squad and the rest galaxy after the dying moments of ME3.